First, what happened needs to be called what it was: a terrorist attack. It is sad to see how the events were re-labelled and dismissed by much of the international media as soon at is was clear that it wasn’t the work of radical islamists. 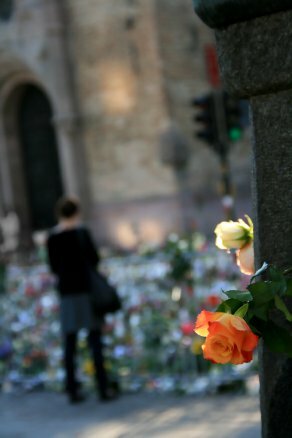 The attacks might have been carried out by an individual, but they were inspired by a strong political and religious conviction, drew upon extensive support networks, and were meticulously planned over a number of years. In fact, Norway’s leading expert on violent Islamism has argued convincingly in the NY Times that this is the closest ting yet to a Christian version of Al Qaida. It is time for the Norwegian Parliament to change its practice and appoint a Nobel Peace Prize Committee that includes both experts and internationals. The Nobel Peace Prize is considered one of the world’s strongest symbols; the prize shapes the public agenda and gives voice to peace activists all over the world. 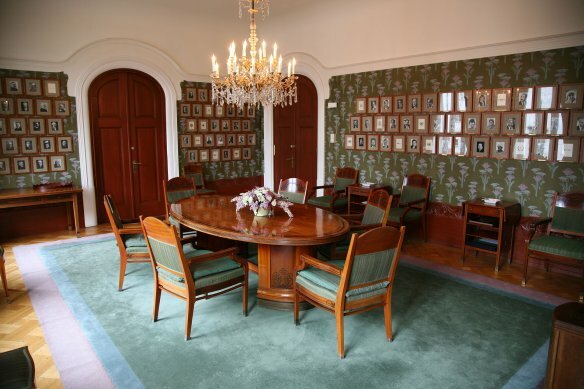 Members of the prize-awarding Nobel Committee are appointed by their political parties in the Storting, the Parliament of Norway. This strong link to Norwegian party politics threatens the legitimacy of the prize, and it is high time the Norwegian Storting changes its procedures and includes both experts and internationals in the committee. Alfred Nobel bestowed a great honor on the Storting. He states in his will that the prize for “champions of peace” shall be awarded by “a committee of five persons to be elected by the Norwegian Storting”, but gives no further instructions on the forming of the committee. Current practice involves having the political parties represented in the Storting divide the seats among them based on relative strength and then appoint one or more of their former MPs to the Committee. This is hardly the best way to administer this honorable task. The prize has a high standing, largely stemming from its ability to adapt to changes in the world. This does not mean that nothing should be changed, however. Questions are increasingly raised with regard to the committee’s independence, even by its own secretary, Geir Lundestad. How independent can a committee be if it exactly mirrors the balance of political power in Norway? And specifically recruits on the basis of party membership – preferably among retired members of parliament? Chinese leaders are among those asking these very questions. In a one-party state where the National Congress is the closest parallel to the Norwegian Storting, the idea that the committee could operate independently must be hard to believe. China would likely have protested against Liu Xiaobo’s prize regardless of the committee’s independence, but their arguments could have been significantly weaker than they are today. The fundamental legitimacy of the prize is at stake, both in the 2010 laureate’s home country and in the rest of the world. In Norway, a debate has been raging around a conversation between Norwegian Minister of Foreign Affairs Jonas Gahr Støre and his party colleague, Nobel Committee Chairman Thorbjørn Jagland. The minister disclosed to Jagland that the Foreign Minister of China had threatened sanctions against Norway if the prize were to be awarded to a Chinese dissident. Støre should not have done this. As it turned out, the committee still chose a Chinese dissident irrespective of the government’s preferences. But suspicion lingers over this not being the first time a Norwegian minister has given friendly advice to a committee of fellow party members and political colleagues. Geir Lundestad, committee secretary for two decades, made a forceful statement before the announcement of the 2010 prize. He claimed that not awarding the prize to the European Union was a sin of omission surpassed only by Mahatma Gandhi not getting it. Lundestad’s explanation for this oversight was indeed that the committee reflects the Norwegian political landscape, and that awarding a prize to the EU is impossible given the national controversy over EU membership. This is harsh criticism, coming from one who probably knows what goes on behind the closed doors of the committee better than anyone. Regardless of whether one deems the EU a worthy laureate or not, it is hard to argue in favor of allowing Norway’s domestic squabbles to affect the choice of candidate. The Storting has every opportunity to rise above party politics in nominating members without violating the spirit – or letter – of the will. Rather than letting individual political parties nominate their own representatives, the presidium of the Storting could do it. This would allow consideration of the composition of the committee as a whole. Having experienced politicians among the members certainly benefits the committee. But the current practice entails the risk that the committee seats are seen as a type of reward distributed on the basis of long and faithful service to the party, rather than on the basis of an interest and expertise in peace and conflict. Nothing is stopping the Storting from including members on the basis of their professional expertise. Scholars, analysts and political commentators could contribute to expanding the committee’s horizons, as well as to strengthening its assessments and foundations for decision-making. Several former committee members possessed considerable expert knowledge, which has been shown to be an asset. This does not mean that the majority should be experts, however, and expertise should not be confused with neutrality. The Peace Prize is a fundamentally political prize: it is only interesting when it makes a statement. There is also the matter of the nationality of the members. The committee’s mandate, defined and revised multiple times throughout the years, does not limit membership to Norwegian nationals alone. Neither politicians nor experts need be Norwegian. What about thinking in terms of people who are recognized across religious, geographic, economic or political divides? Perhaps former Nobel laureates, like Kofi Annan, Shirin Ebadi or Jody Williams? Or maybe other wise men and women like author Amin Maalouf or economist Amartya Sen? Perhaps non-Norwegian politicians such as Australia’s former Minister of Foreign Affairs Gareth Evans or Brazil’s former President Lula could be considered? The problem hardly lies in finding suitable candidates. Storting changed this after the controversy concerning the German anti-Nazi and peace activist Carl von Ossietzky’s prize. The then Minister of Foreign Affairs, Halvdan Koht, and the former Prime and Foreign Minister Johan Ludvig Mowinckel gave up their seats in the committee prior to the decision to award the prize to Ossietzky. The Royal Family, contrary to tradition, was not present during the award ceremony. As with this year’s prize controversy, the Norwegian government cited the committee’s independence in response to criticism from the prize winner’s home country. In 1978 another change took place, abandoning the practice of having current members of parliament take part in the committee. This change was also made to communicate the committee’s independence. Guttorm Hansen, President of the Norwegian Parliament at the time, stated during the parliamentary debate that the committee must be able to “award prizes contrary to Norwegian foreign policy, contrary to views of a potential majority of the Storting, contrary to possible public opinion”. Furthermore, Hansen argued, the committee must be “free and unbiased, without direct or indirect instructions”. These are lofty ideals. But as long as the parties appoint committee members from their own ranks, it is difficult to imagine that they enter the committee without such an “indirect instruction”. In less than a year, two of the committee seats will become vacant. This year’s prize has not had a negative impact on the prize’s public image and reputation. Now is therefore a good time for another change in practice. Alfred Nobel trusted the Storting to administer the prize and refrained from giving detailed instructions. It is now up to the Storting to decide to rise above party politics and prove worthy of this trust. This text was published as an Op Ed in Norwegian in Aftenposten 21 October 2010. 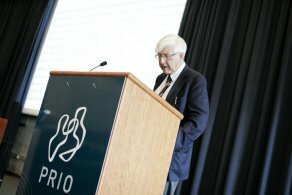 Jon Elster gives the PRIO Annual Peace Address 2010. The human mind seems to have a natural tendency to assume that all good things go together. This may be a result partly of what psychologists call tradeoff aversion and partly of wishful thinking. Let me offer some examples. Marx asserted that in the transition to Communism, one should try to “shorten and lessen the birth pangs”. For a given duration of the transition, less violence would obviously be desirable. For a given level of violence during the transition, the shorter it is the better. But a more gradual transition might involve less violence. The movement for “socially responsible investment” is based on the premise of “doing well by doing good”. In some cases, the profit motive and community benefits may indeed be maximized simultaneously, as when consumers refuse to buy goods produced with the use of child labor. Typically, however, mutual funds that refuse to buy alcohol and tobacco stocks do less well than others, because they cut themselves off from a valuable source of diversification. Public policy is usually guided by concerns of distributive justice as well as efficiency. In practice, however, equity and efficiency may be at odds with each other, because of the problem of “the leaky bucket”. When transferring wealth from a rich person to a poorer one, some wealth is usually destroyed or not created. The French Revolution was based on the – mostly tacit – assumption that the values of equality, liberty and fraternity supported and reinforced each other, so that more of one led to more of the others, not less. Although each of the three values is endlessly ambiguous, on many common understandings they are more likely to work against one another than to favor one another. Radical thinkers claim that liberty is inconsistent with equality. Libertarian thinkers argue that fraternity is inconsistent with liberty. Rawls claimed that strict equality was inconsistent with fraternity because it might make the worst-off worse off than they would be under a regime of moderate inequality. In this talk I shall examine another trio of values in this perspective: justice, truth, and peace. More probably, the committee intended to highlight scarcity of renewable natural resources as an important cause of war. Their statement, it is true, didn’t deal with that issue directly, but Maathai herself said that “the environment is very important in the aspects of peace because when we destroy our resources and our resources become scarce, we fight over that” — an idea that was widely endorsed in news coverage of her award. In fact, speculation about “water wars” and other apocalyptic scenarios lacks solid foundation. Some studies find a relationship between low-level conflict and scarcity of resources like arable land, forests and fresh water, but others do not. In any case, this link is trumped by poverty, political instability and a region’s history of conflict. Researchers haven’t closed the book on the question, but the most dramatic scenarios can be dismissed. The lack of fresh water has been suggested as a particularly important factor in conflict. Boutros Boutros-Ghali, the former United Nations secretary general, is one of many officials who predicted in the early 1990s that “the next war will be over water.” Since then, we have witnessed major wars in Afghanistan, Congo, Iraq and elsewhere with no obvious link to water shortages. Scarcity of fresh water is one of the world’s major health problems and constrains economic development in many parts of the world. But that is not a “water war” unless we radically redefine our concepts of war and peace. Countries that share a river appear to have a slightly higher probability of low-level conflict over and beyond the simple fact of being neighbors. Such countries also seem to cooperate more. There are hundreds of international agreements regulating the use of shared water resources, but one is hard put to name a single case where a conflict over water led to large-scale violence. What about scarcity of land? Population growth, deforestation, soil erosion and migration can increase pressure on arable land. If such conflicts follow ethnic or religious lines, they may lead to local conflict. However, the probability that such conflicts will escalate to major violence is low. Population pressure and scarce land resources were for a while standard explanations in the media for the civil war and the subsequent genocide in Rwanda in 1994. Today this conflict tends to be interpreted as more of a traditional ethnic power struggle. Statistical studies of civil war also indicate that countries with high population density or high population growth are no more prone to civil war. Some even argue that population growth stimulates economic growth and thus indirectly reduces the risk of civil war. Recently, attention has to some extent turned away from resource scarcity and toward the problems faced by countries endowed with abundant natural resources. In Sierra Leone and Angola, rebels have financed their operations by dealing in “blood diamonds,” and in Colombia and Afghanistan drugs have played a similar role. Once again, though, we should be wary of premature generalization. In Botswana, diamonds have created the economic basis for the closest thing we find in sub-Saharan Africa to a democratic welfare state. The impact of the so-called “curse of natural resources” is itself highly dependent on economic and political factors, as well as the nature of the neighborhood. Environmental destruction and scarcity of renewable resources can present a danger to life and livelihood in many third-world countries. But these hazards are not primarily linked to a danger of war. Exaggerating the security aspects of environmental decay hardly helps our efforts to overcome the negative effects of resource scarcity. 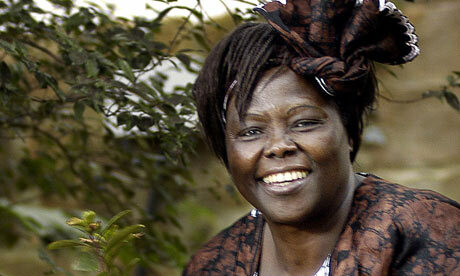 Wangari Maathai and the Green Belt Movement have done pioneering work for environmental conservation in Kenya. But her work for democracy and human rights may well be seen as a more substantial contribution to peace than her tree-planting.